Under the bill, funding for the USDA Farm to School Grant Program is doubled from $5 million to $10 million per year, helping schools across the country increase their local food purchases and expand food and agriculture education. The bill also increases the ability for tribal schools and feeding programs to serve culturally significant foods and increase the scope of the USDA Farm to School Program to include early care and education centers, summer food service program sites and after school programs. This big victory marks the beginning of the lengthy process of reauthorization. CNR will now move to the Senate floor for final debate. Check out NFSN's handy flowchart to follow along in the process! 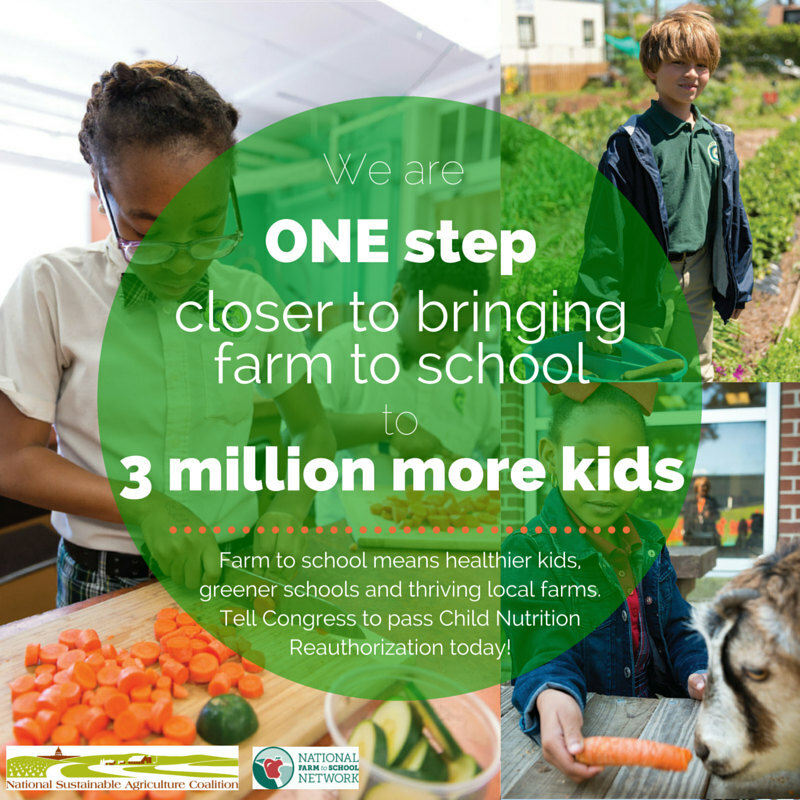 To make your voice heard moving forward, let our Louisiana Senators know that you want to see a CNR with strong support for farm to school programs passed on the Senate floor! You can share this message on social media: We need a strong CNR with #farmtoschool to grow healthy kids. @SenatorDavid, bring #CNR2016 to the Senate floor! Thank you all for your support and advocacy in this effort! This win is because of you.